Can't beat it for the price submitted by Stephanie R. - Mar 23, 2018 |Recommended: YesI've lived here for almost a year and do not have any real complaints. I moved in right after a total management change so the office phone lines were a bit slow but understandably so. The residents I have come in contact with are very friendly or keep to themselves. These are apartment homes and so noise is inevitable but I luckily have nice and usually quiet neighbors. I have read some reviews of residents complaining about the quality of the materials used for the apartment carpets, appliances, bathrooms, etc. ...but you get what you pay for. I looked at more than one unit before signing and chose the one I liked best. Not all of the units are renovated , especially the ones with longtime tenants, but again you get what you pay for and for a responsible potential tenant that's what scheduling a viewing tour is for. I'm not sure how someone can complain about appliances not being brand new when they already live in the unit, knew what it looked like before moving, have stayed in that unit for some time, and haven't considered moving to a different renovated unit.... You just can't beat what you get for the price.  I have recommended Fox Pointe to multiple people. Very pleasantsubmitted by John P. - Mar 01, 2018 |Recommended: YesIt is a very comfortable, quiet living environment. Its been good quiet and peaceful.submitted by Carla B. - Feb 16, 2018 |Recommended: YesIts been nice. I live in an older model that has not been undated, but iI am okay. I like the dishwasher, but miss my washing machine and dryer. I would like to upgrade if possible when my lease is up. I am very happy that there are no bugs or critters. I only see lady bugs which are good luck. I can't compare this apartment with others, because the only apartment I live in was in Park Slope Brooklyn, and the apartment living was apples to oranges in comparison. But I like my experience living here and will definitely renew my lease. Better Than Mostsubmitted by Caitlin M. - Dec 19, 2017 |Recommended: YesVery quiet. Fast maintenance repairs. Office staff always available. Clean grounds. Parking availability. Fox Pointe is a well kept community.submitted by Laurie A. - Aug 30, 2017 |Recommended: YesThe complex is very nice and the so are the people. Sometimes people get a little carried away with throwing trash in the wrong bin and the trash is not picked up. The apartments are pretty well kept. The property is a very nice place to live.submitted by Michelle L. - Aug 23, 2017 |Recommended: YesI am very happy with the apartment that I am renting at Fox Pointe. Very few complaints. Very happy here.submitted by Wilbur S. - Jun 30, 2017 |Recommended: YesThey're great My only complaint is the laundry facilities are awful. I have to go to the laundromat.